2. Material: sus 304( anti-corrosion ), sus 316( anti-acid & alkali ),s us 3105, 314#, 330#(heat-resistance ), galvanized steel or carbon steel wire. 3. Belt selection: balanced belt, one direction belt, cormel / compound balanced belt, ladder belt, gratex belt and duplex belt. 1. JUN-EN, one of the leading companies in Taiwan, has been in the metal mesh industry for over twenty years. During these years, we have been servicing thousands and thousands of satisfied clients, both international and domestic. 2. Our reputation in the industry is well rccognized. 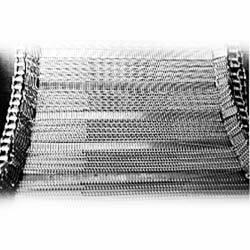 In recent years, our R & D team has devoted their time and talent to designing and developing and developing of improve productivity also in adding the market of mesh machinery to our regular business lines, Because of its competitive price and high quality, our machines have been sold to many parts of the world and well acclaimed.